Ok so this recipe should be interesting. MacKenzie and I decided to make these after watching an episode of “worst cooks in America” We figured if they can do it, anyone can!! 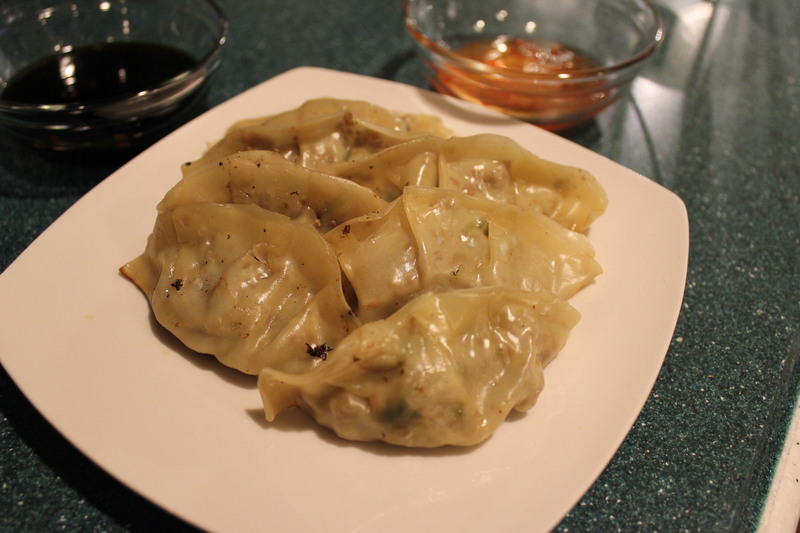 So I kind of made up the recipe and we just went with it. This was so fun to do, and I love spending quality time with my daughter. 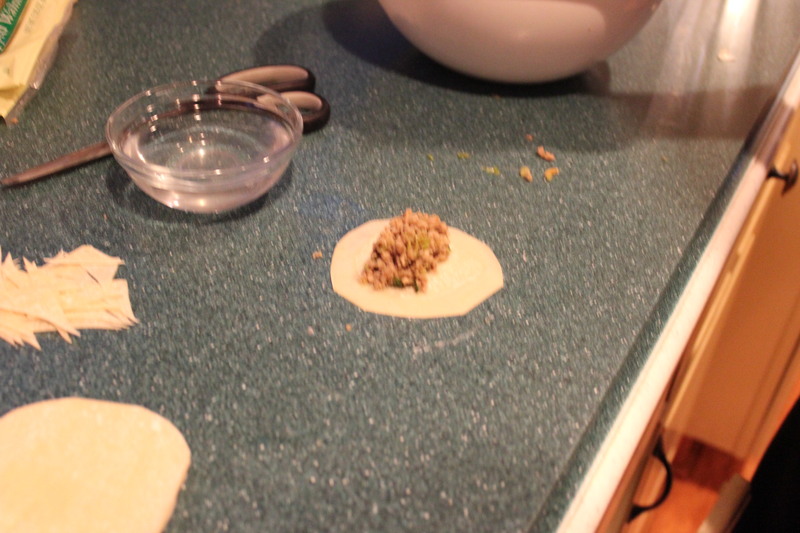 We tried to take pics of what we did but I am not sure it will show proper technique as well as I think it could have. 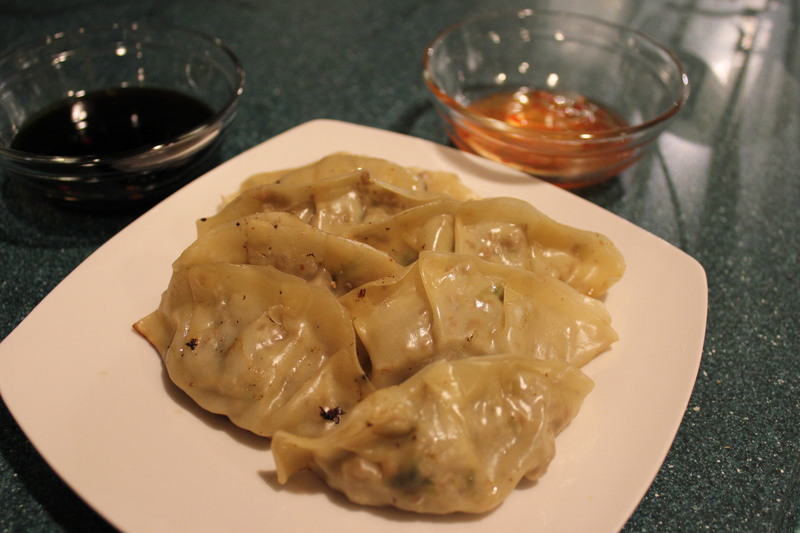 Either way, this was a fun evening meal to create. I suggest doing this with someone you want to spend some fun quality time with. And true to form I did not measure anything. So I am glad I took pictures. Enjoy it! 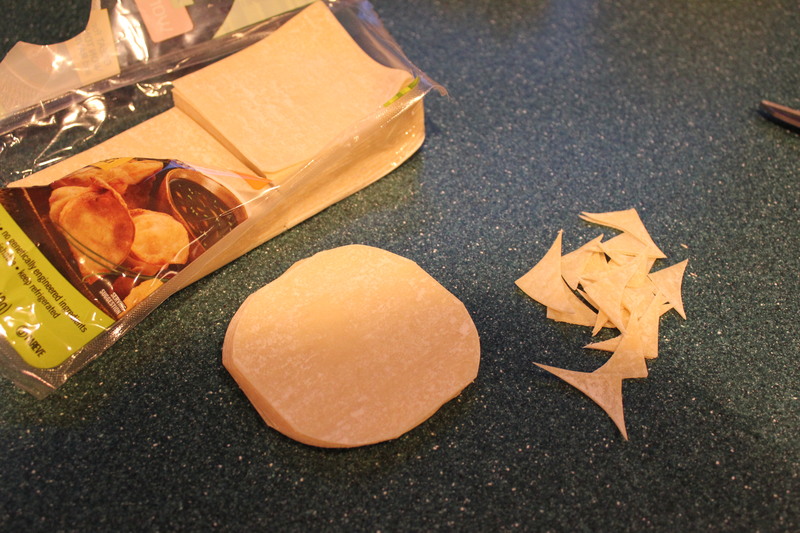 won ton wrapper (round if you can find them) I could not so I got the square ones and just cut the corners off. dipping sauces whatever you like most. 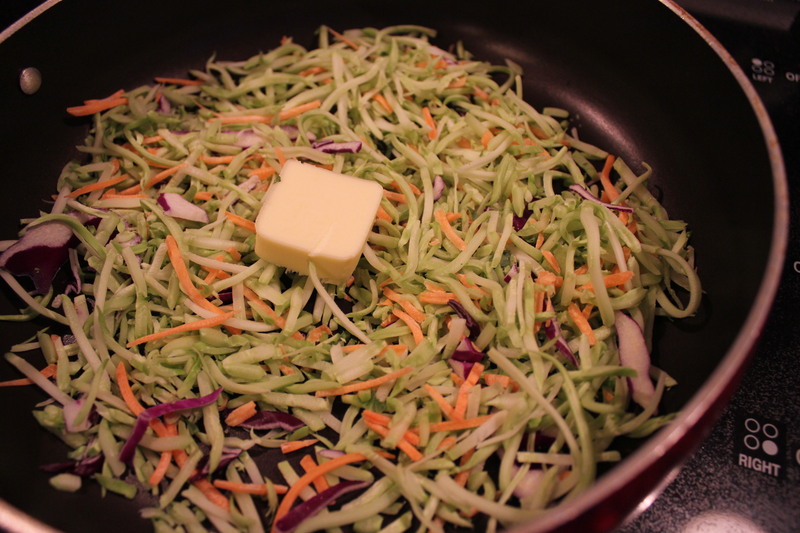 all right then, lets get this recipe going.. so throw some of the broccoli salad into a saute pan and a little bit of butter, cook until getting soft. 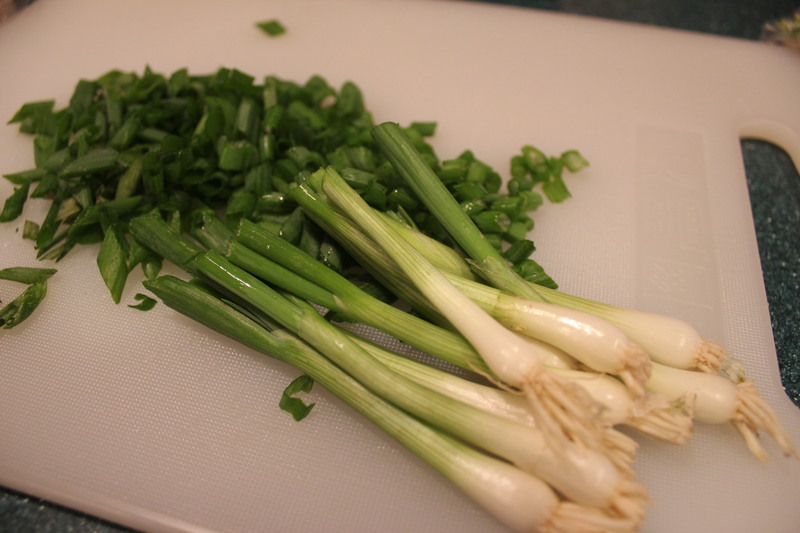 Cut the green onion and add to the mixture. 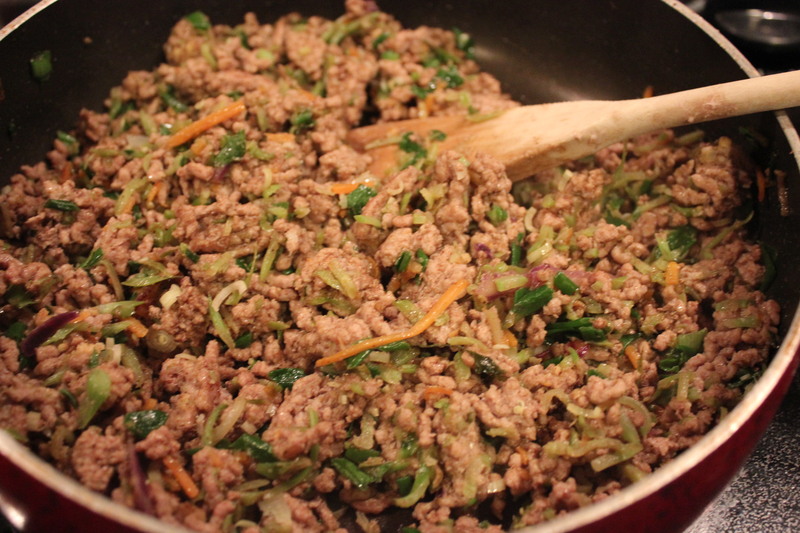 Add the pork and cook through. add the five spice at this time. 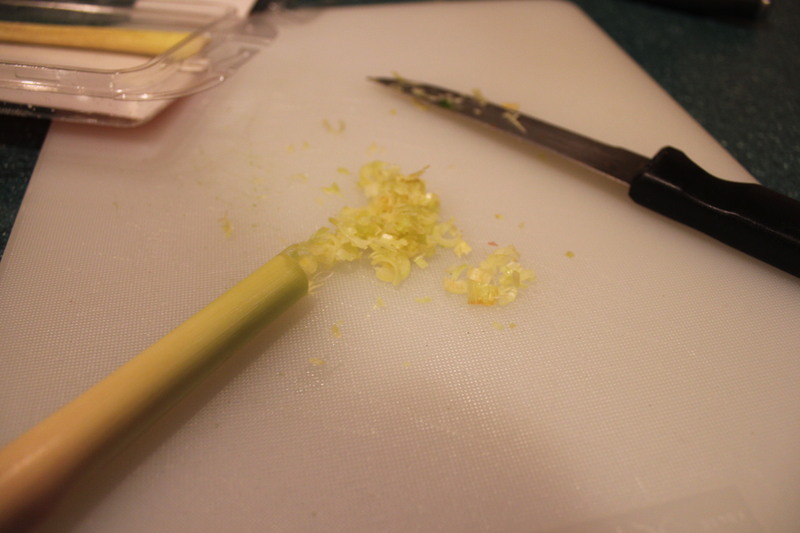 Chop up some of the lemon grass and set aside. 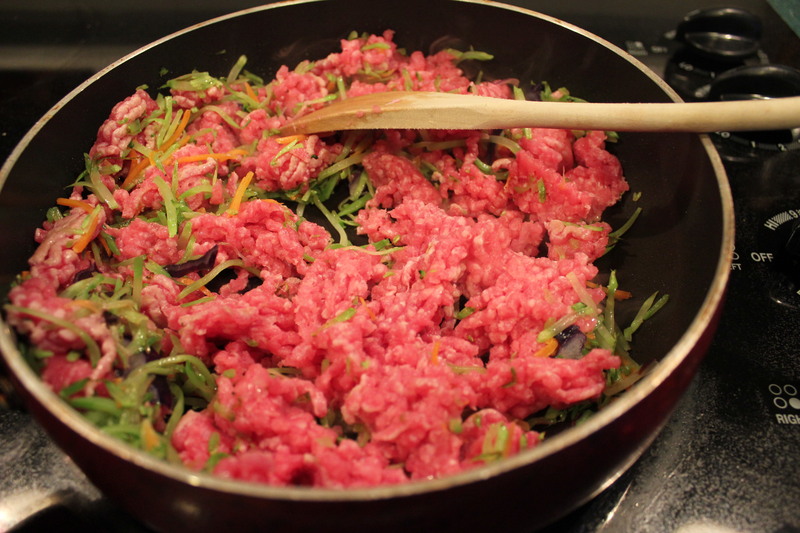 Once the pork is cooked through add the lemon grass. 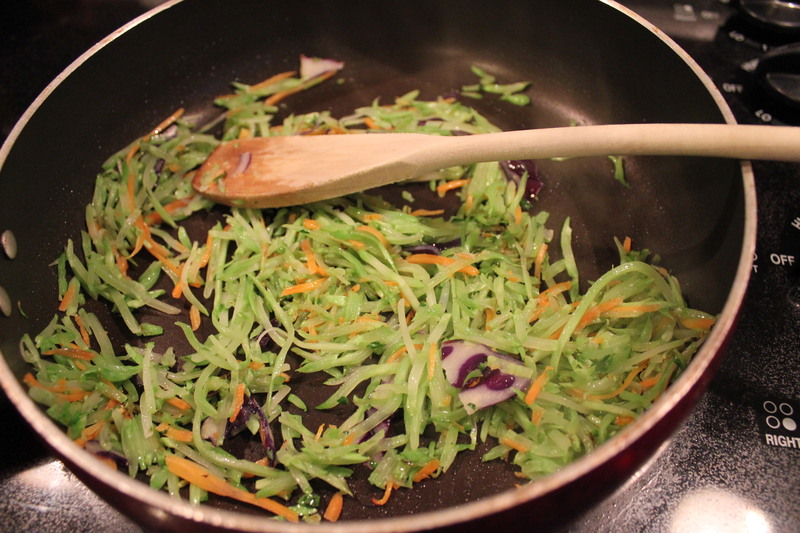 You want the mixture to be very fine, so I threw it in a ninja and processed it a little bit. You want them to be round, so if you can’t find them round make them round! using your finger water the edge of the wrapper so it will adhere to itself well. 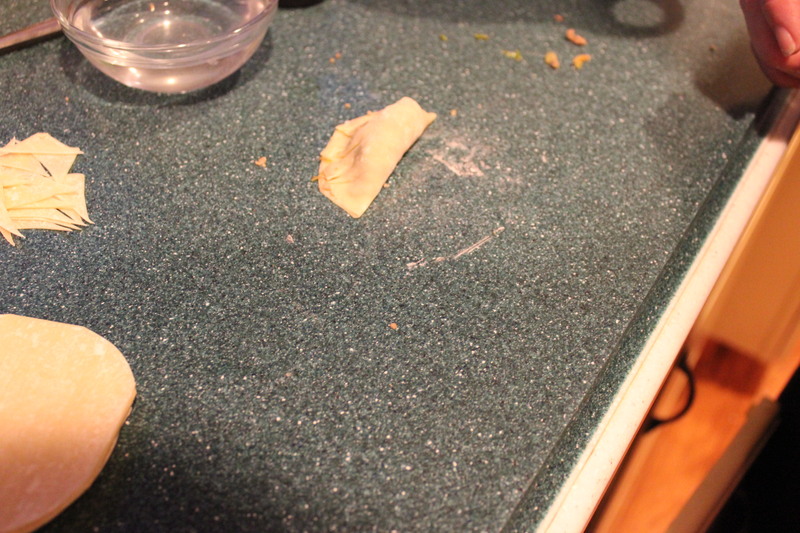 fold the won ton over and as you seal overlap a bit making creased. 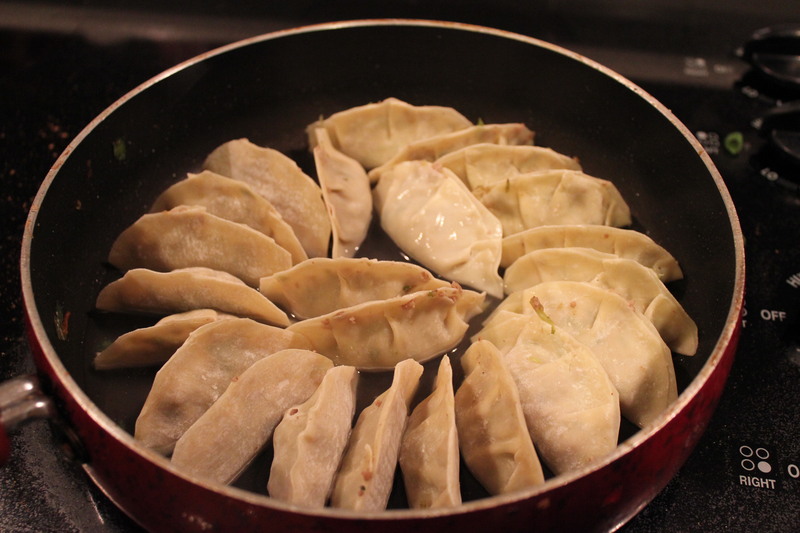 Place the dumplings into a pan with water about an inch or so, cover and bring to just above a simmer. Watch them so they don’t stick. 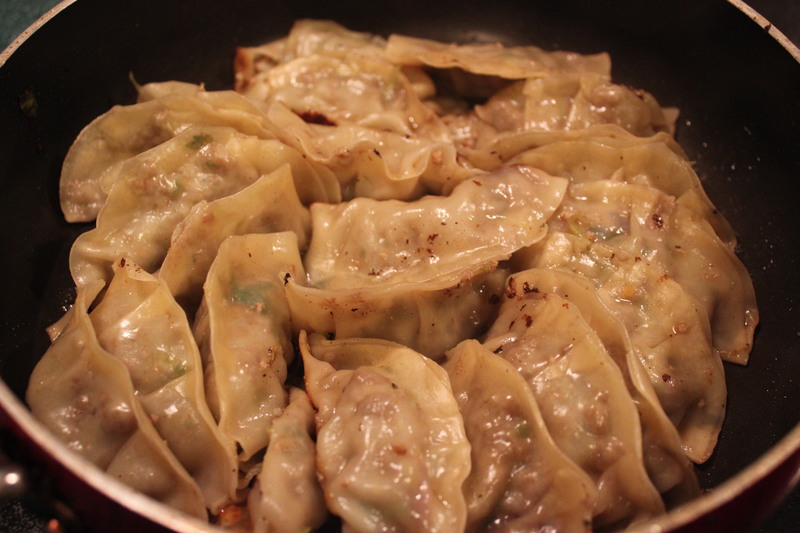 This will steam them. Looks amazing Laura! 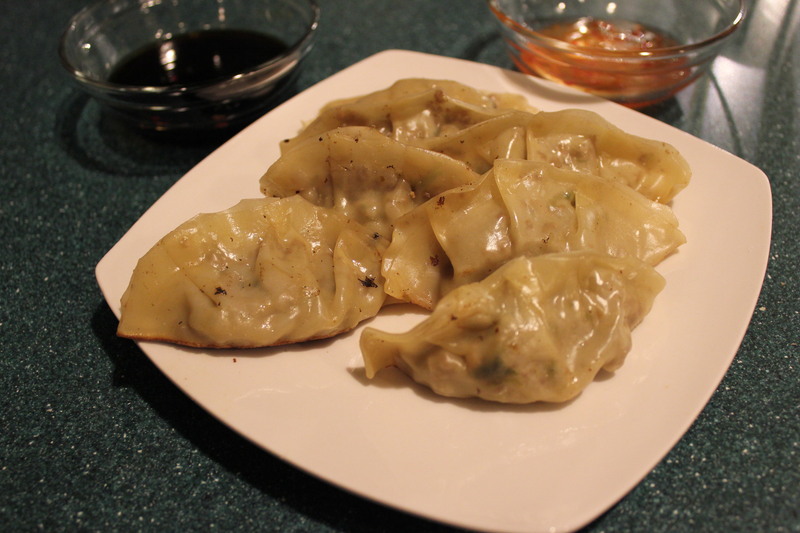 not sure where I can get dumpling wrappers here in Buenos Aires (I suppose Chinatown sells them) but I’m so lazy to go there! They were a lot of fun to make!! If I ever go to Buenos Aires, I will get them for you! !